Modern society is one where people know the price of everything but the value of nothing, quoted Rabbi Sacks. This focus on material acquisition leads to a perpetual state of dissatisfaction, by focusing on what we lack– the latest model car, smartphone, or other fashionable item. This instability leads to a state of anger, which fuels the popular unrest across the world. Two days before the colossal economic crash of 2008, the prominent Sothesby auction house raised $198 million for the artist Damien Hirst, breaking the record for a one-artist auction. The most expensive piece: The Black Sheep with the Golden Horn. Rabbi Sacks called this the Golden Calf that heralded the economic woes. What is the Torah’s antidote to the Golden Calf? The text immediately before and after the mention of the icon of idol worship explicitly states the divine gift of Shabbat, the sacred time that removes us from the secular state of being. Shabbat offers three important features that counters our immersion in contemporary values; Family, Community, and Disengagement. Rabbi Sacks participated in a BBC program on the modern family, in which he invited the noted child development expert, Penelope Leach, to visit a Jewish nursery school. On a Friday morning, the children were engaged in their weekly Shabbat party, in which five-year-olds portrayed the roles of Imma, Abba, the children, and Bubbe and Zeide. When Dr. Leach queried a young boy playing Abba for the day: what was the best and worst aspect of Shabbat. The boy cited, not watching television was the worst, but the best being that it was the only time, his father didn’t rush off to work. Dr. Leach turned to Rabbi Sacks and pointed that out as the reason that the boy’s parents’ marriage was sustained. Community is the place where your name is known and your absence is noted, quoted Rabbi Sacks. 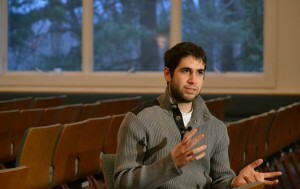 Wherever he visits, after his presentation, he is always asked the same question: “I know who you are, Rabbi, but do you know me?” The person would invariably have a personal connection, however tenuous. “Two Jews meet as strangers and find out that they’re mishpocha,” quipped the Rabbi. Disengagement on Shabbat is when we leave behind the deadlines and worries of the secular world for a sacred time in which we spend in appreciating what we already have. We learn to appreciate God, Family, and Community. A woman from the Bay area in California, the heart of Silicon Valley, reported to Rabbi Sacks that modern technology has been the downfall of good relationships. She related that their solution was a technology-free day, which we Jews know as Shabbat. The value of Shabbat has even charmed the Archbishop (of York? Not Canterbury) who spent the full 25 hours of a traditional Shabbat with Rabbi Sacks and his wife Elaine in London, who said that the devaluation of the Christian Sabbath has led to the dissolution of the family in Great Britain. 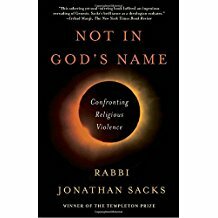 Rabbi Sacks has authored over 30 books, the most recent being Not in God’s Name: Confronting Religious Violence, published in February. I and other residents of the Main Line have been in lack of books since the bankruptcy of the Borders bookstore chain in July 2011, and the renovations of the Ludington and Bala Cynwyd branch libraries, the latter closing in December 2011. For a few months, we were bereft of all three resources, until Ludington reopened last September, and Bala Cynwyd reopened last month. 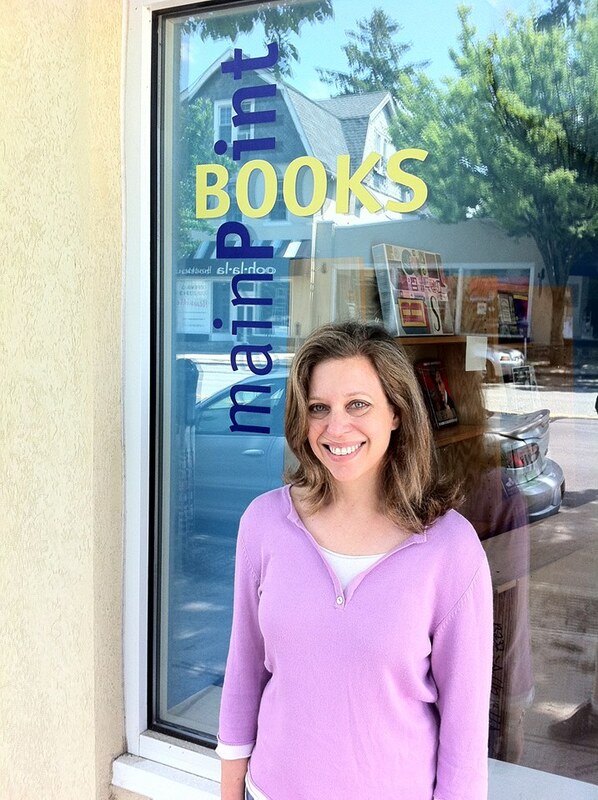 Another pleasure awaits us at the newly opened Main Point Books, an independent bookstore in Bryn Mawr, run by local resident Cathy Fiebach. One of the charming books available in the store is My Bookstore: Writers Celebrate Their Favorite Places to Browse, Read, and Shop , a collection of essays by writers on their favorite bookstores. Some of those stores are in the writers’ communities, and others are their stops along a book tour. I have my own copy, and I told Fiebach that it is “armchair traveling” for me to read about lovely bookstores across the country. Her store could easily join their ranks. 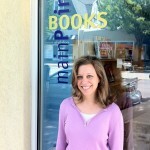 Main Point Books, located at 1041 W. Lancaster Avenue in Bryn Mawr, is open seven days a week, with hours Monday, Tuesday, Wednesday, and Saturday 10 am to 6 pm; Thursday and Friday 10 am to 8 pm; and Sunday noon to 4 pm. Phone: 610-525-1480; email: cathy.mainpointbooks@gmail.com. I’ve witnessed how theater is transformational when I observed how a young family friend, petite and shy, blossomed into a singer and actor on stage, first at the Perelman Jewish Day School and later in “Ragtime” at the Papermill Playhouse, the state theater in Millburn, NJ. Somehow having a script and an audience enables people to forget their usual persona and voice. The experience of King George VI and his struggle with stuttering was portrayed brilliantly by Colin Firth in his Academy-award-winning role in the 2010 film, The King’s Speech. How much more fun would it have been for the King had he attempted theater? This weekend, the Adrienne Theater will host two performances of “Tough Cookies,” a one-act play by Edward Crosby Wells, with actors from Together We Act, a non-profit outreach theater company that is committed to educating, motivating, and building confidence in people who stutter. Together We Act raised funds through crowdsourcing on Kickstarter by offering backers tickets to the shows, an official t-shirt, donor recognition in the playbill, and a recording of the play. According to Shinefield, some other troupes for inclusion are Our Time, a stuttering group for children, and Identity Theater, both located in New York. “Tough Cookies” will be directed by Kathe Mull of New York City. “Tough Cookies” will be performed on Sunday, February 17 and Monday, February 18, in the Adrienne Theater at 2030 Sansom Street, Philadelphia, PA. Both performances will start at 7:00 PM and each will be followed by a Q&A session. Do you miss the farmers’ market in winter? If you’re like me, it’s a let-down to buy produce flown or trucked in from California, which is what are available these days in the supermarkets, even in Whole Foods, which may have the biggest selection of organic produce around. Some farmers’ markets are open on Saturdays, but if you keep Shabbat, your best option is the Reading Terminal Market in Philadelphia. It’s open seven days a week, and it’s indoors, so you (and the vendors) do not have to freeze in the open air. When was the last time you’ve visited this market? You’ll be surprised and delighted by the lively changes there. Check out the Reading Terminal Market website for fun events, including the Valentine Day’s wedding of four couples in the center court at noon. Among my favorite vendors is Steve Bowes of Bowes Family Farm. Stop by for a chat and a lesson about biodynamic and organic farming. He’s at the market on Thursdays to Saturdays from 8 to 6 and Sundays from 9 to 5. The Fair Food Farmstand, run by Fair Food Philly, offers organic eggs, dairy, and meats as well as seasonal produce and artisanal foods. They’re open every day. I always stop by Iovine Brothers Produce to gaze at their lovingly display of fruits, vegetables, and specialty produce. It’s where I can get fresh mushrooms not found elsewhere such as King trumpets and hen of the woods as well as the gourmet favorites: chanterelles, enokis, morels, and porcinis. The Cookbook Stall is also fun, with a diverse selection of books that cannot be found in a general bookstore. Its hours are: Mondays to Saturdays from 10-5 and Sundays from 11-3. If you have a particular title in mind, you may call to check on its availability at: 215-923-3170. Every Wednesday & Saturday, you could learn the story behind cheese steaks, hoagies, pretzels and other Philly food favorites, and the 116-year history of the vibrant Reading Terminal Market where they’re sold, during a 75-minute tour led by Carolyn Wyman, food historian, author, and journalist. Discounted parking at 12th and Filbert is available for two hours and at least $10 in purchases.